Gastronomy Heaven: Foodie Places to Go! Recent Posts: Love. Laughter. Life. Medicine. Gorgeous flight over the mountains and coast! Looks kinda like the flyover Santa Barbara where the mountains abut the ocean. Annoying guy in immigration keeps turning and his backpack keeps hitting mine. I want to punch him! He’s invading my personal space. Fantastic lunch spot! In a great area to walk around. Delicious wine and food pairings. Lovely modern hotel in the middle of Bellas Artes district. Easily walkable to/from. Metro stop close by. They have a sauna – super hip and modern!! Swoop partnered with Chile Nativo in Puerto Natales to organize W trek. 11am – meet at Eberhard #230 office for group orientation. Starting from Puerto Natales at 12 PM or from Cerro Castillo at 1PM, we drive all the way to Torres del Paine National Park. We will drive through open pampas and huge ranches (estancias), and chances are we will be able to observe one of the most typical animals in this area, the nandu, (rare South American ostrich). We will follow an unpaved road heading to Refugio Las Torres to spend our first night. Upon entering the park we will have excellent photographic and bird-watching opportunities as we drive alongside lagoons frequented by Chilean flamencos and black-necked swans. Today’s hike is on a gentle trail following the border of the park and offers opportunities to see guanacos (Llama family) andthe Andean Condor. It was freakin windy!!! Omg. Hard to stay upright! We will start our first day trekking to the base of the Towers, following the Ascencio River to enter the Ascencio Valley. Our walk will be uphill for one hour before stopping to observe the first glimpses of the valley surrounded by unbelievable beech forests (Nothofagus family), glaciers and waterfalls. We’ll continue through the valley for another hour and a half before ascending a huge terminal moraine to a lookout (900m), excellent for picture taking. At this point, we will be surrounded by three giant granite towers (2850m) and a lagoon with slurry waters due to erosion produced by glaciers. This amazing view will be accompanied by lunch to add to the enjoyment. After being awed by the towers we’ll start our descent, following the same path back to the hut. We will start early morning to enjoy, weather permitting, a magnificent dawn filled with orange-pink colors. As we leave the campground we will arrive at Inge lagoon. Chances are, on this path, we may see the flight of an Andean condor or eagles hunting hares or small rodents. We follow a well-marked trail ascending (around 200m) from the base of Almirante Nieto Mountain (2750m), crossing the Bader River to arrive at Refugio Los Cuernos where we will stay overnight. We will start our day with a 2-hour walk going to an undulating path until reaching the French River for our first glimpses of the hanging glacier. Then we will ascend (300m,) for one hour through a surreal Japanese garden landscape, crossing beech forests, to reach the French Valley viewpoint gifting us with a magnificent view of both mountains and lakes. We will lunch here with good possibilities of seeing avalanches from the hanging glacier or simply observe the west side of the Cuernos (2600m), Espada (2400m) and Fortaleza (2800m). Our way back will be the same until we reach the entrance of the valley where we will continue on a different path around the South-West side of Paine Grande, the highest peak in the Park, through native forests of Chilean fire bush and evergreen beech (Nothofagus Bethuloides), up to the shore of the Pehoe Lake. We will begin early in the morning with our hike to the Grey Glacier. Initially ascending 200mts up a winding narrow path leading us to Laguna Negra, a place where we will observe the first glimpses of the South Patagonia Ice Field with its many unclimbed mountains. We will advance through forests and rivers, with possible sightings of spectacle and flying steamer ducks, up to the glacier viewpoint. We will have lunch at this place to and hopefully catch sight of ice calving from the huge glacier wall. Right after lunch we start an exciting adventure by boat. We will navigate for a while in front of the glacier in the hope of seeing icebergs calve. Our return journey offers views of Paine Grande with its impressive ice mushrooms and we sail through icebergs of different tones of blue. Then we will take a transfer back to Puerto Natales. Please note: Trip can start/end in El Calafate, Argentina. Arrival El Calafate around 2pm on Day 6. Please enquire for further details. Done with trip around 6pm. Telefono / Telephone: +56 61 2723100, Dirección / Address: Ignacio Carrera Pinto #351, Punta Arenas – Patagonia – Chile. Airport transfer from Santiago to bus terminal. Then another bus to Valparaiso. We found our our air bnb hostess can arrange for a driver for us to do Casablanca valley wineries! The program includes dinner, with all the drinks included, view of the pyrotechnic show from our terraces and finally party with open bar. Casas del bosque, Bodegas Re, Loma Larga, Matetic. Wine tour that I signed up with thru Peter Pan. Most sauv blanc in Marlborough region. 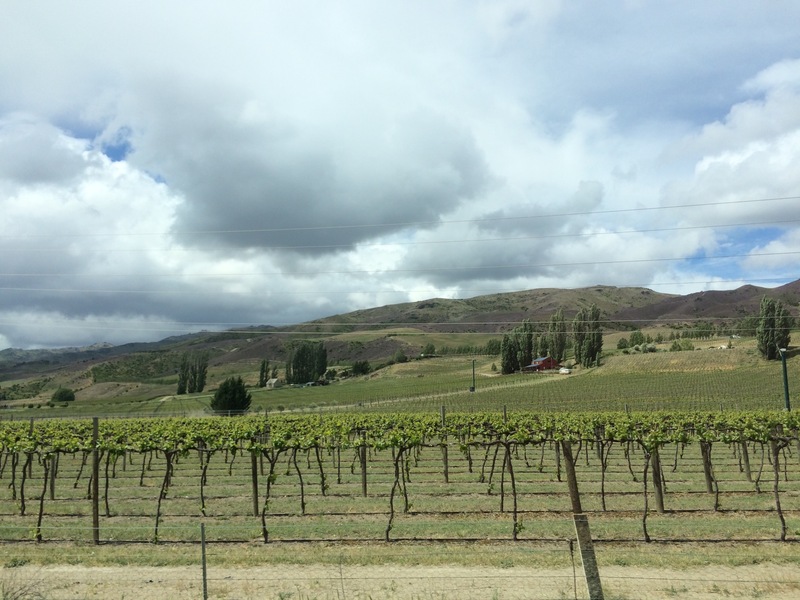 Central otago wine region – Chardonnay, Pinot noir (45th parallel like burgundy), Sauvignon blanc. Arrowtown very cute. 2 golf courses. One for New Zealand open. Amisfield – sauv blanc, rose. Kate and Charles visited this winery. 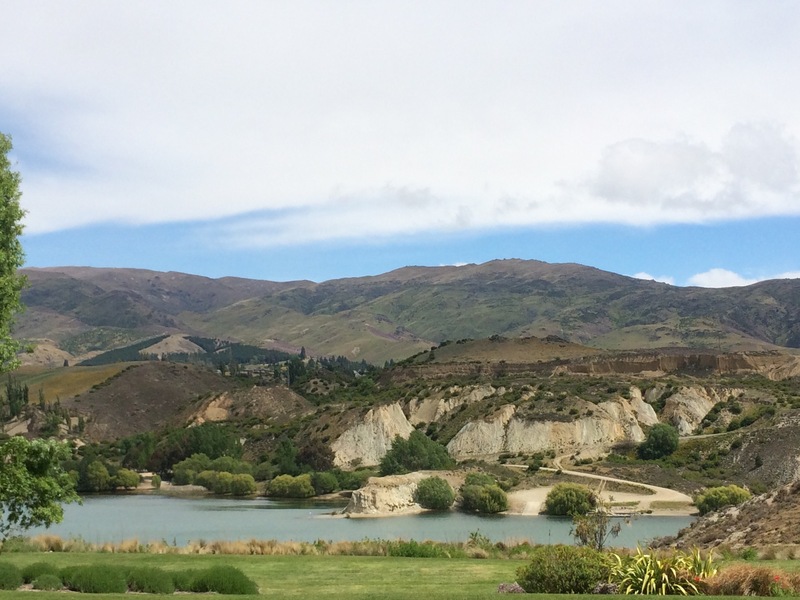 Cromwell basin (low lying) /bannockburn – 80% wine. Large cherry growers. Very dry desert. Carrick – lunch. Certified organic – takes extra time. Dry Riesling. Good. 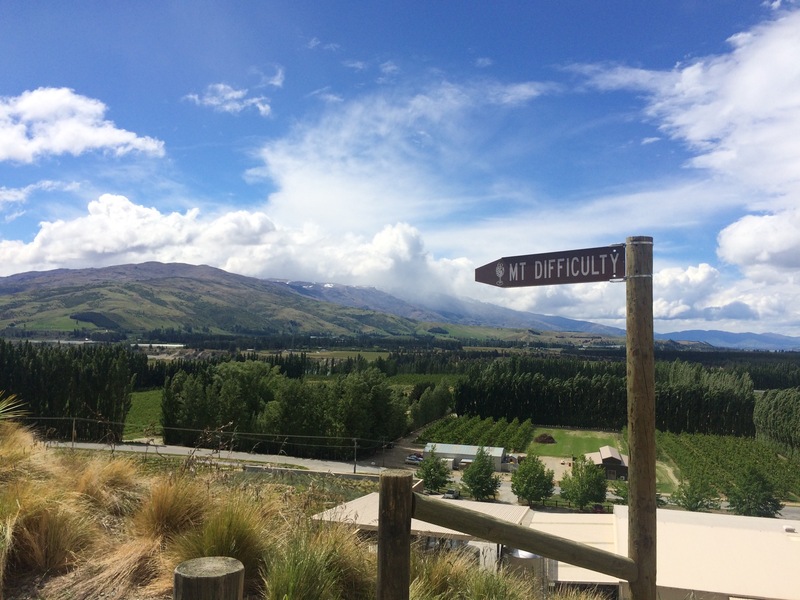 Mt Difficulty- largest winery in region. Pinot Gris. Medium sweet Riesling. 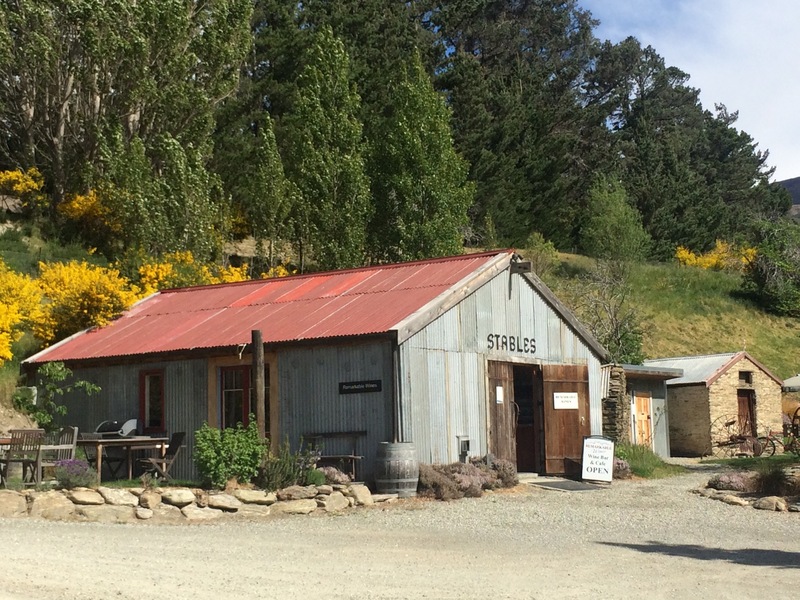 Remarkable wines – gibbston valley. Riesling as ages has a kerosene/terpentine smell on nose. Gibbston Pinot noir. So, I am having a craving! 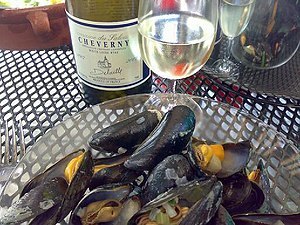 Yes, mussels, butter, wine…. so, why not find a recipe that combines them all?? I want to cook this sometime this weekend! Rinse the mussels well under cold water. Pick them over, pulling off any beards and discarding any mussels that are broken or gaping open. In a large pot with a lid, heat the oil and butter over medium heat. Add the garlic, shallots, and red pepper flakes and cook until fragrant and soft but not colored, 3 to 5 minutes. Add the mussels, wine, and half of the parsley. Increase the heat to high, and cover the pan. After 2 minutes, remove the lid and toss the mussels well with a large spoon. Cover the pot again and cook until the mussels have opened wide, another 3 to 4 minutes. Add the remaining parsley, give the mussels a final toss, and divide the mussels and the broth among bowls. Serve the bread alongside.